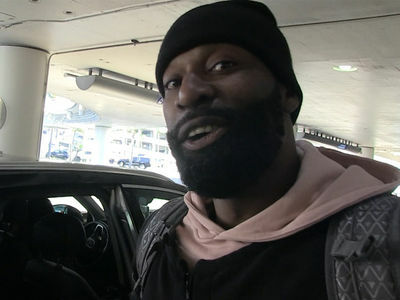 Cardi B's feud with the Crips is setting off a red alert, and the L.A. nightclubs where she's appearing for NBA All-Star Weekend will be rolling DEEP with armed security ... TMZ has learned. 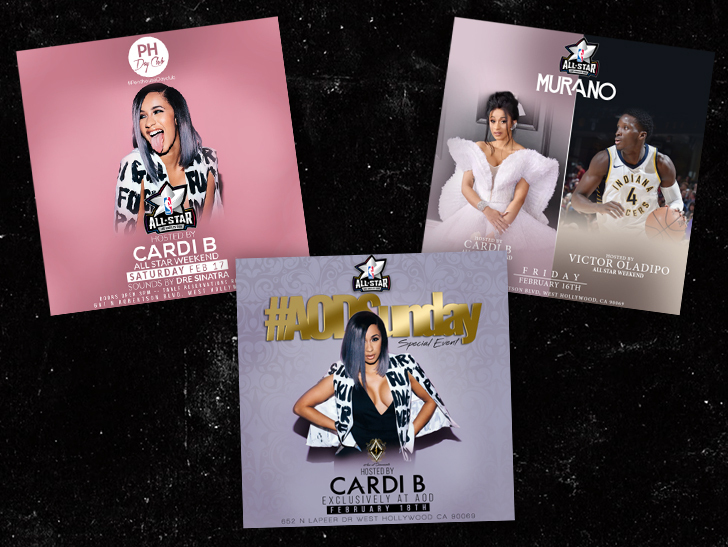 Cardi has an exclusive deal to host at 3 clubs next weekend -- all under the same ownership -- and our sources say they're preparing for the worst ... as in, possible gang violence. 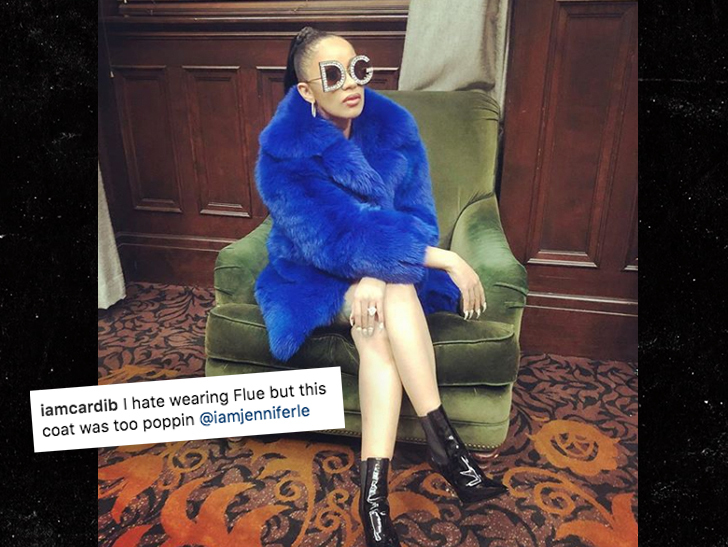 TMZ broke the story ... Cardi's been flooded with violent threats from Crips who feel she dissed them by captioning a pic of herself in a blue fur coat, "I hate wearing Flue." We're told the clubs -- Murano, Penthouse and Ace of Diamonds -- are tripling the number of armed security guards they'd normally hire. They've also put off-duty cops on the payroll, who'll be in uniform at the clubs. Our sources say club management held an emergency meeting Wednesday to discuss how to handle the crisis. 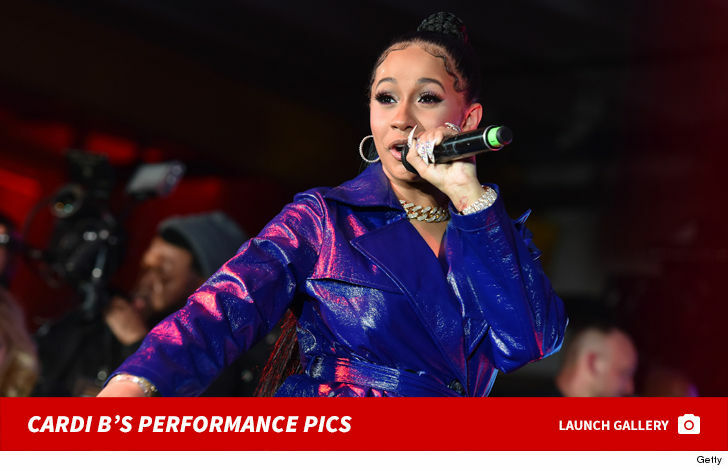 Canceling was never an option -- we're told Cardi's getting around $250k for the Friday, Saturday and Sunday night gigs, and her team hasn't made a peep about pulling out. Still, we're told club owners are taking the threats seriously, and want to make sure Cardi and all club patrons are safe.